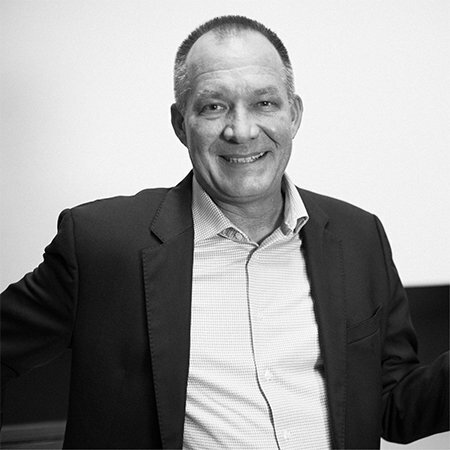 Karsten Renz, co-founder and CEO of OPTIMAL SYSTEMS, is responsible for strategic company management. He primarily focuses on achieving solid financial growth, continuously optimizing cutting-edge, innovative business processes, and expanding strategic networks. Renz studied computer science with a focus on business at Technische Universität (TU) Berlin from 1987 to 1991. During that time, he took part in projects at WIB Weltrauminstitut Berlin GmbH to compile image databases for the aviation and aerospace industry. Together with his classmate Sven Sauer, he founded OPTIMAL SYSTEMS GmbH as a spin-off of WIB in 1991. During the company’s early years, Renz was responsible for sales, marketing, and administration, while Sauer oversaw the development of new technologies and product management. Subscribing to changes or adding information on selected projects. That ensures I’m automatically informed when something relevant happens with an acquisition or an ongoing project. Apart from enaio®, I can’t imagine working without Excel. After completing his studies in computer science at the TU Berlin, Wolf stayed on at the university for several years as a researcher and authored the PEtS software development method. He served the German state of North Rhine-Westphalia, unions, and research institutes as a consultant on software development methods. 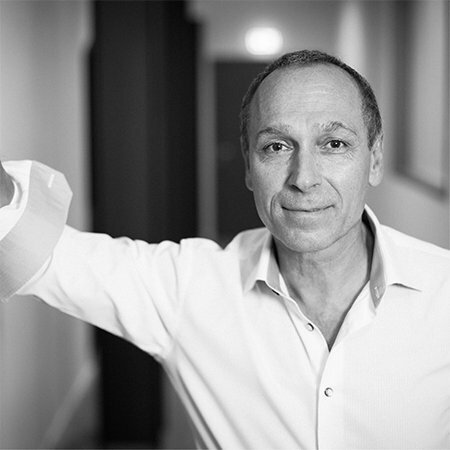 In 1991, Wolf switched to the private sector, where he moved from Berlin-based Condat AG to positions such as Managing Director of the Web CMS start-up The BtoB Company. Prior to joining OPTIMAL SYSTEMS, he spent eight years as a Management Board member and CTO of Klopotek AG and as Managing Director of Klopotek UK. During this time, he also actively served on advisory boards and consortia. Wolf has been part of OPTIMAL SYSTEMS since 2013, and started by revamping product management. He has served as COO for all operational business units since 2015. The full-text search. I can’t stand having to click through folder after folder in Windows. My ears and my mouth. I believe in the concept of servant leadership, which calls for listening and persuasion. Björn Grabe is responsible for the Professional Services business unit. This provides the full spectrum of technical customer and partner support, from consulting and implementation, to training and technical support, through to operating customer systems. 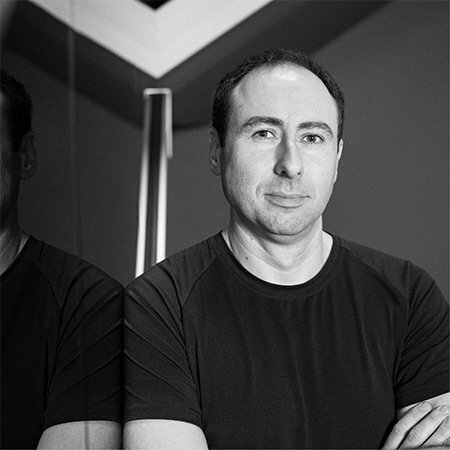 After completing his studies in computer sciences for the production industry, Grabe began working as a consultant for DMS projects at OPTIMAL SYSTEMS in 1995. In 1998, he assumed leadership of the Consulting and Support team, and built it up into the current Professional Services division. The certified engineer sees the new field of cloud services as an important challenge, and works together with his colleagues on corresponding services. The enaio® app for iOS. Combined with the document references sent via e-mail and Office apps, I can always find and process the information necessary for my job. My iPad is coming to replace the computer at my workstation. Thanks to the large number of business apps, I can now do my job from anywhere in the world. Dr. Olaf Holst became Chief Technology Evangelist in 2018. Previously, he was responsible for the expansion of the international sales network and business development in the industrial and service sectors. Prior to that, Holst served as Sales Director at OPTIMAL SYSTEMS. He holds a PhD in philosophy as well as a graduate degree in engineering. Along with that, he has in-depth expertise in sales, IT, and company organization. He served as Senior Manager Partner Sales at AuthentiDate International AG and Head Partner Manager at Ceyoniq AG. Prior to that, Holst was Head of Sales at FurniNet Service GmbH. His work at several companies under the aegis of Gildemeister AG allowed him to gain many years of experience in mechanical and plant engineering. The mobile application, since I can now, finally, work entirely without paper. That helps me maintain an overview of all situations and always have all the information and documents I need at hand. My tablet, since I can finally avoid writing things down on paper – when I did that, I couldn’t read my notes afterwards anyway, since my handwriting is awful. Sven Kaiser is head of the Marketing & Brand Strategy business unit. He oversees the planning and implementation of marketing activities that supports sales. After completing specialized training in hotel management and marketing communication, as well as working as a consultant in B2B full-service advertising agencies in Dortmund and Berlin, he studied at imk Berlin as well as Miami Ad School (in cooperation with Florida International University), earning a master’s degree in Communication and Advertising. Kaiser joined OPTIMAL SYSTEMS in late 1999. Outlook integration, since it only takes a single click to ensure that each incoming or outgoing e-mail is stored in the right project folder, and that the entire project team can see what information I’ve sent. That way, everyone is kept fully informed and ready to work at all times. A blank piece of paper, since good campaigns still start there. Andreas Kalz has been serving as Director Sales & Partner Management since 2016. In this capacity, he is responsible for marketing and business development. He was able to secure his first sales success starting in 1995, in the area of communications technology at Siemens AG. After starting out at the OPTIMAL SYSTEMS Group as an Account Manager in 2005, Kalz switched to the German Bundesdruckerei (Federal Printing Office) three years later. There, he was in charge of sales for the Trusted Solutions segment. After returning in 2013, Kalz became Sales Director, a position he holds to this day. He holds an advanced degree in communications engineering. One of my favorite functions in enaio is the flat search feature without fixed structures. I prefer that over using the intelligent full-text search function and/or applying filters for hit lists. It’s easy and incredibly efficient. I can no longer imagine a world without smartphones. However, it’s important to strike a healthy balance between being available and focusing on your work. Otherwise, you become a slave to your phone. Andreas Karger is responsible for centralized Group tasks in the area of finance and administration. His area of responsibility includes leading the back office, accounting, HR planning, and HR development. After completing training to become a retail salesman, he earned a degree in business administration. He held a number of roles at several companies in a comparable position before coming to OPTIMAL SYSTEMS in late 2007, where he now serves as a member of management. Office integration for Word and Excel; the features this entails make it much easier for me to use each of the programs in my day-to-day work. My cash card from my favorite bank; it’s such a good feeling to be able to rely on timely payments for our customers at all times, which also lets us have a good handle on expenses at all times. 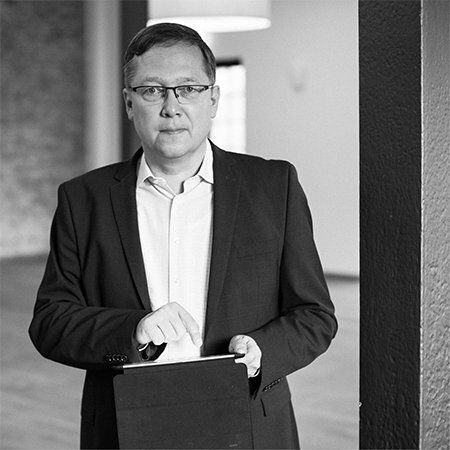 Dirk Liebich has more than 20 years of experience when it comes to digital transformation. In recent years he supported a multitude of start-up enterprises in San Francisco, New York, Berlin and Asia. He also works as speaker, author and blogger. His topics revolve around data mining, machine learning and artificial intelligence. In 2018, this impressive track record led him to his new role as Chief Business Development Officer yuuvis. It is his mission to establish the technological advantage of yuuvis in new, international markets. A blank sheet of paper. Because that\’s where my ideas start from. I think and communicate in images. Dr. Nikola Milanovic has been responsible for product development at OPTIMAL SYSTEMS since 2014. He oversees software development for the enaio® product lines, as well as quality assurance, maintenance, and agile development processes. Previously, Milanovic served as CEO of Model Labs GmbH as well as Senior Consultant and Team Leader at GAI NetConsult GmbH. In 2001, Milanovic completed his studies in electrical engineering and computer science at the University of Belgrade. In 2005, he earned his doctorate from the Department of Computer Science at Humboldt University in Berlin. In 2010, he acquired habilitation and qualified as Professor in the Electrical Engineering and Computer Science department at the TU Berlin, where he also worked as a research assistant. Expandability; the comprehensive REST API allows me to upgrade the basic product functionality to include smart Web plug-ins and in-house microservices, and thereby implement content-based software projects with state-of-the-art technologies, all at a fraction of the cost.